Calling Bull: can you identify the lies in public discourse? In times of fake-news and alternative facts, managing knowledge on a process level is not enough. 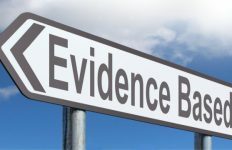 Knowledge managers also need to be able to appraise the quality and relevance of information as part of evidence-based practice. But it’s not easy finding finding facts in a world where knowledge is significantly influenced by fake news, alternative facts, and hyped science. Do you know whether the TED talk you watched last night is bull — and if so, can you explain why? Can you see the problem with the latest New York Times or Washington Post article fawning over some startup’s big data analytics? Can you tell when a clinical trial reported in the New England Journal or JAMA is trustworthy, and when it is just a veiled press release for some big pharma company? In 2015, sick of lies in public discourse, and particularly by the use of big data and fancy algorithms to sell ideas, products, and political candidates, Carl Bergstrom and Jevin West decided to do something about it. Their wildly popular Calling Bull course and website teach students and the general public how to think critically about the data and models that constitute evidence in the social and natural sciences. Critical thinking is urgently needed to address the serious problems we face today.